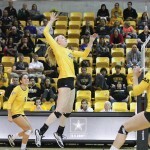 Towson was crowned the Co-Champions of the Colonial Athletic Association and earned victories over Delaware State Sunday and James Madison Friday. 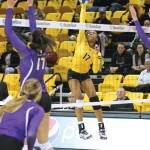 Sunday, the Tigers defeated the Hornets in Dover, Delaware, 3-1. 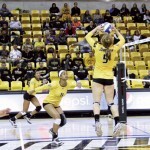 In set one, Towson earned a 25-19 win. 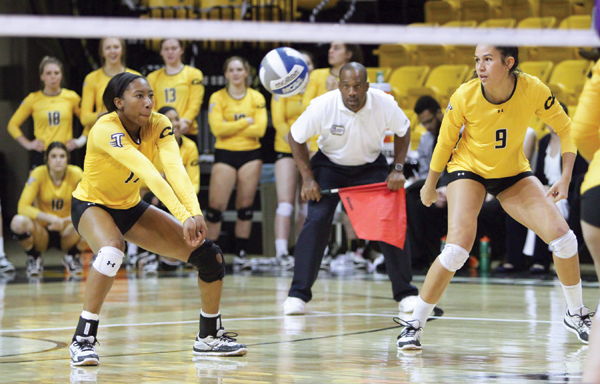 Despite falling behind 3-0, Towson responded with a 4-0 run of its own to take a 4-3 lead. 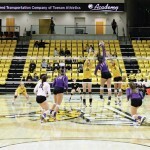 Later, the Tigers led the Hornets 20-19 and secured the set by going on a 5-0 run. 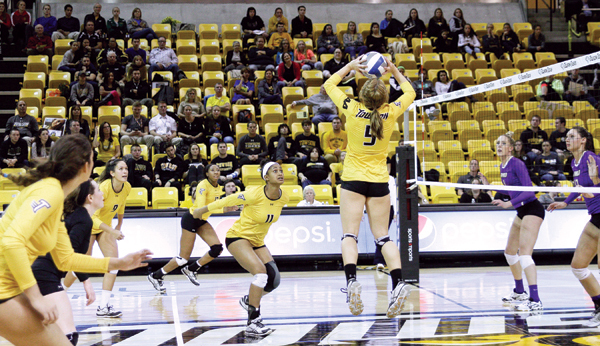 In set two, Towson earned a 25-17 win. The set was close early, but Towson went on a 6-0 run to take a 14-8 lead over Delaware State. While the Hornets cut the Tiger’s lead to just two points after going on a 4-0 run, the Tigers won seven of the last eight plays to earn the win. 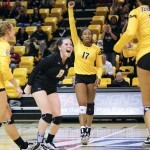 Towson dropped set three 25-18, but responded in set four with a 25-19 victory. Delaware State opened up an early 4-0 run, but Towson answered with a 7-0 run to take an 11-7 lead. Later, Towson went on a 5-0 run to take a 19-11 lead before senior Haley Pa’akaula secured the match with a game-ending kill. 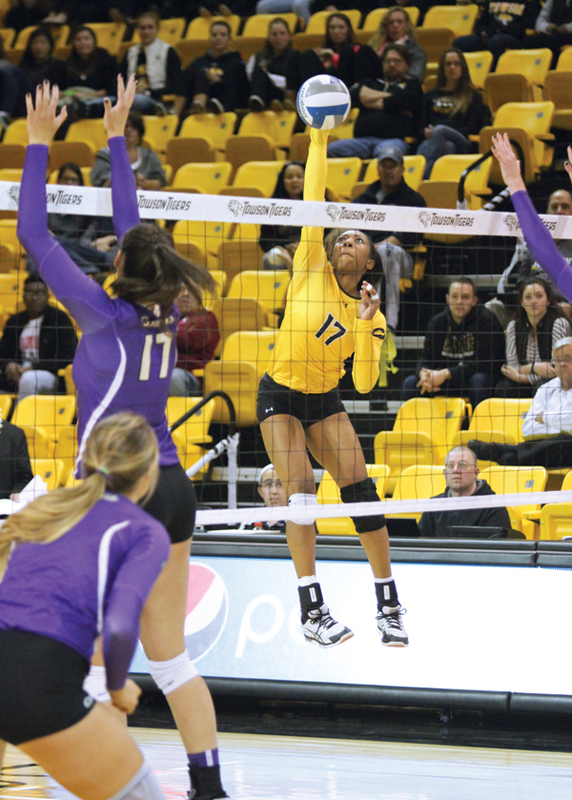 Friday, the Tigers swept James Madison on senior night on their way to a 3-0 victory. 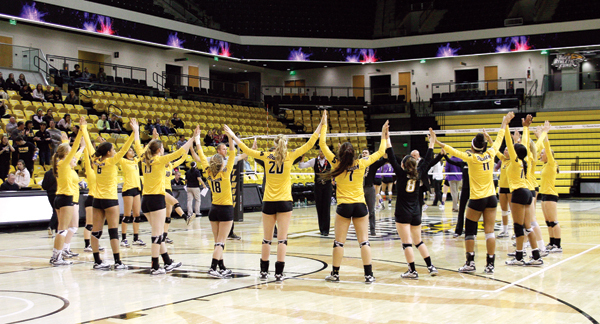 In set one, Towson earned a 25-20 win over James Madison. The set was tight early as the Tigers and Dukes were tied 10-10. However, the Tigers opened up a 4-0 run to take a 17-12 lead. 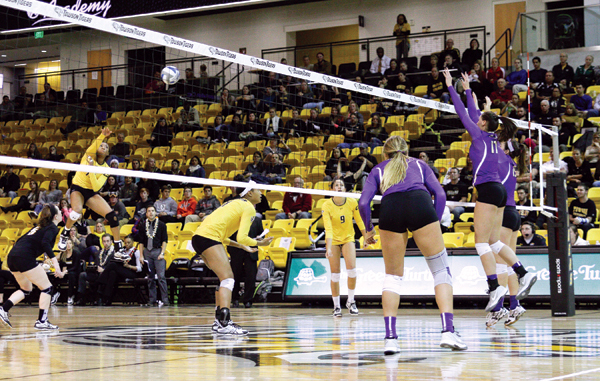 Late in the set, James Madison fought back and cut Towson’s lead to 20-15. 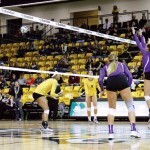 However, Towson outlasted James Madison’s late push to secure the victory. Freshman Jocelyn Kuilan finished the set with five kills while junior Jessica Lewis was right behind her with four. 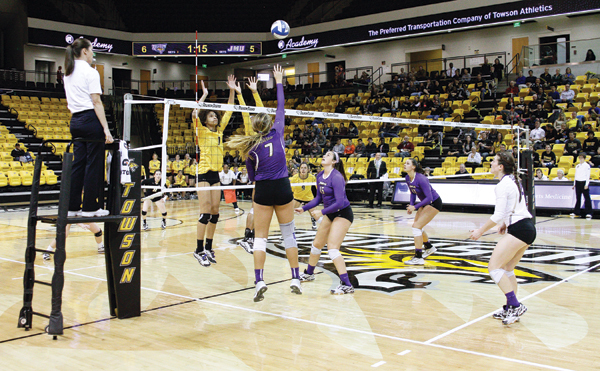 In set two, the Tigers earned a 25-19 win over the Dukes. 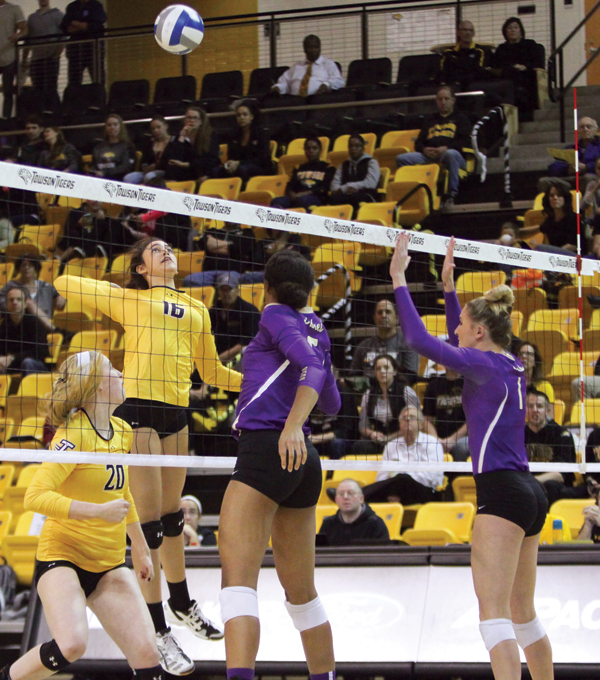 Towson opened up an early 3-0 lead over James Madison thanks to a kill and a service ace from senior Haley Pa’akaula followed by a fill from junior Jessica Lewis. Later in the set, the Tigers went on a 3-0 run and extended their lead to 17-12 after a James Madison service error and kills from Pa’akaula and redshirt junior Candace Steadman. 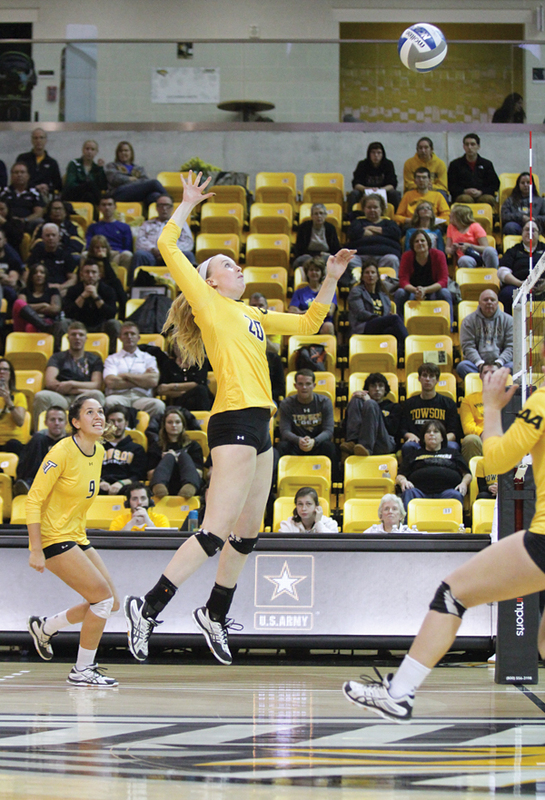 Towson closed out the set and secured the win after going on a 2-0 run on thanks to a pair of kills from Steadman. 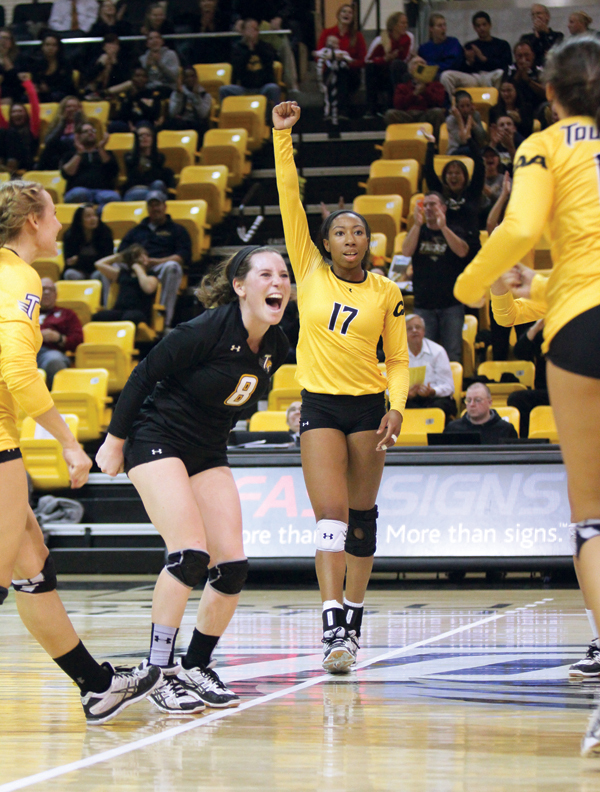 In set three, Towson earned a 25-23 win. Set three started similar to set one, as both teams battled back and forth for the lead. Early in the set, the Tigers and Dukes were tied 7-7. 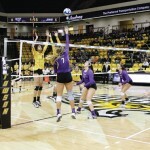 However, Towson won five of the next six plays thanks to five kills to take a 12-8 lead over James Madison. 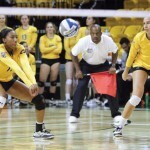 The Tigers eventually completed the sweep when Dukes server Janey Goodman committed a service error to end the game. 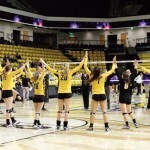 Saturday, Towson will take on the winner of William & Mary and UNC Wilmington in the semifinals of the CAA Championship tournament in Harrisonburg, Virginia. If the Tigers win, they will move on to the championship game for the right to make an appearance in the NCAA tournament. “It’s going to be an exciting team to watch in the postseason,” Metil said.